Massive winter holiday collection! 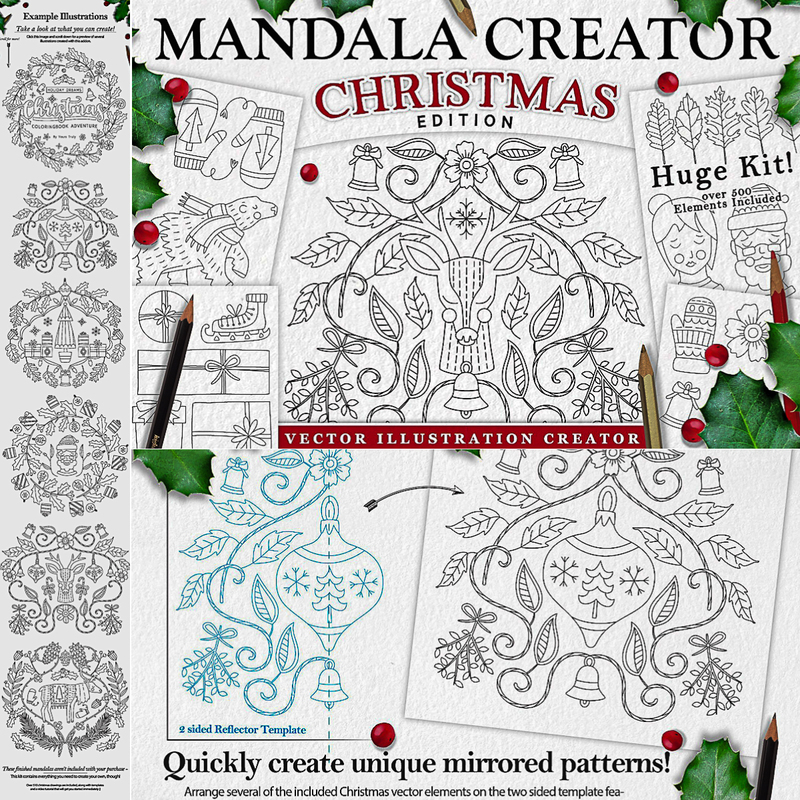 Over 510 elements, 40 brushes, and 4 templates included! 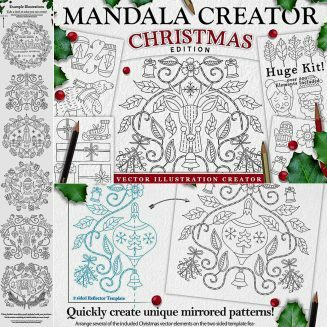 Christmas Holiday Mandala Creator is an addon for Adobe Illustrator that allows you to rapidly create intricate Christmas themed line illustrations ideal for coloring books and more! File format: .ait, .aia for Photoshop or other software. Tags: Christmas, christmas pattern, creator, holiday, mandala, mandala creator.